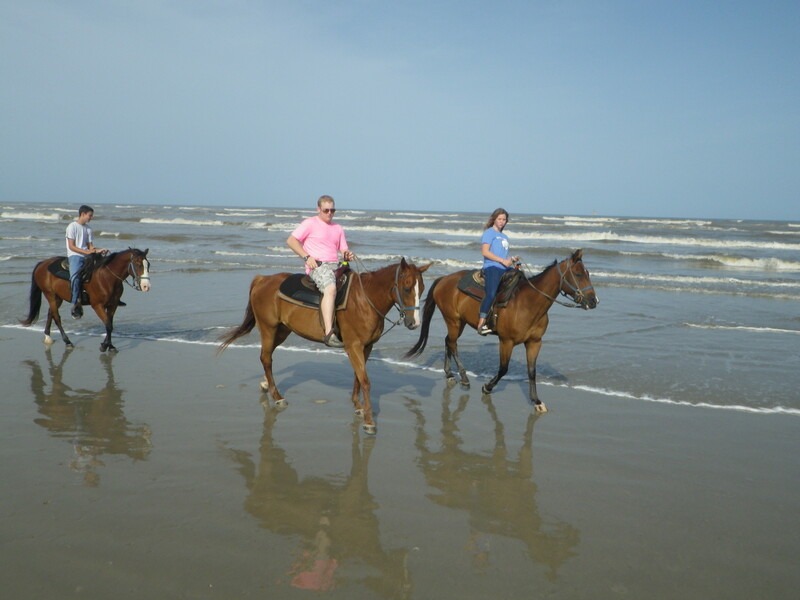 Although we relished time playing in the water and exploring the restaurants and shoppes of Corpus Christi and Padre Island, one of the highlights of our week was a chance to go on a trail ride along the beach! Reservations with a credit card are required. Jeans or pants are recommended, with close-toed shoes. Boots if you have them! They must arrive 30 minutes before you scheduled ride to complete paperwork, etc. Arrive early enough to apply sunscreen and bug spray! If you bring a phone or camera, put it in a waterproof bag with a wrist strap, just in case! Purses, backpacks, etc are not allowed. 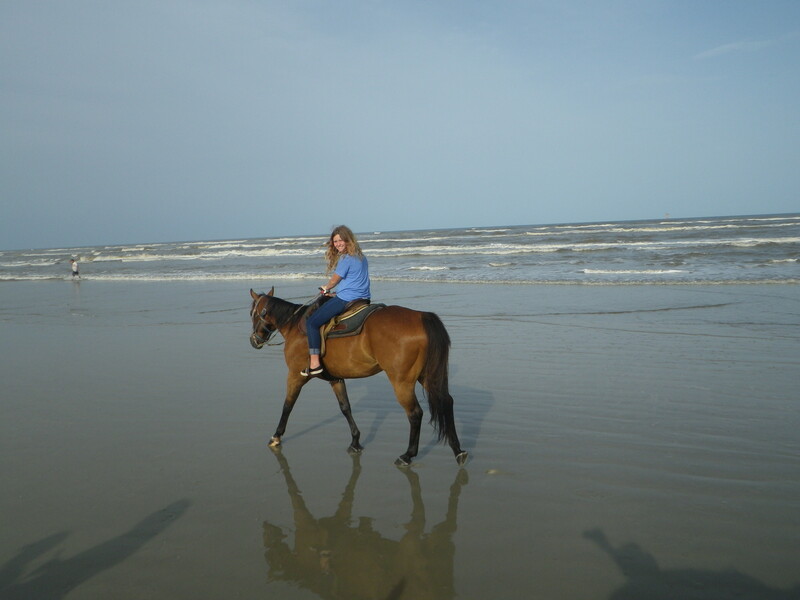 Make sure important items in your pockets, especially phones, will not come out while riding on your horse! 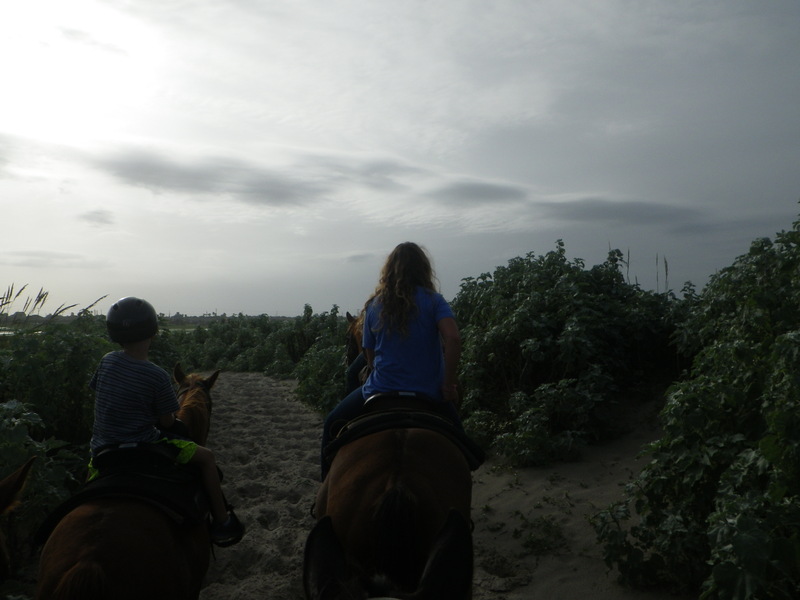 I loved that we didn’t have to walk head to tail, but could walk side by side, and actually talk to my friends and family while we rode! Several guides went out with us, and they were terrific! 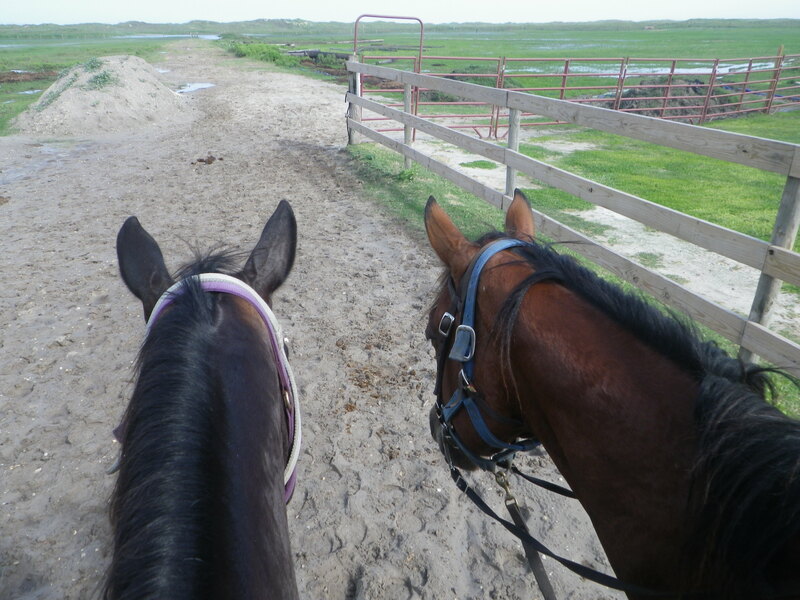 A good and friendly guide can make all the difference on a trail ride! 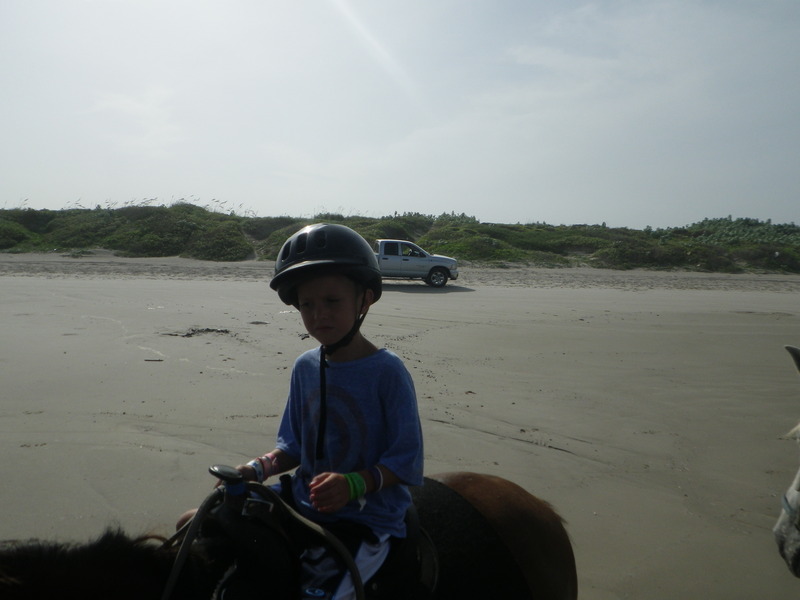 My seven-year-old loved his horse, Fabian! We were told Fabian came to the ranch from the movie industry where he was quite famous! Children must be 6 years old, and anyone UNDER 13 must wear a helmet! Parents must sign a waiver on children 13 – 18 who choose not to wear a helmet. Younger, inexperienced riders are also tethered to a guide, just for safety! My son loved having someone new to talk to, and I think he talked the entire time! Again, the guides were GREAT! 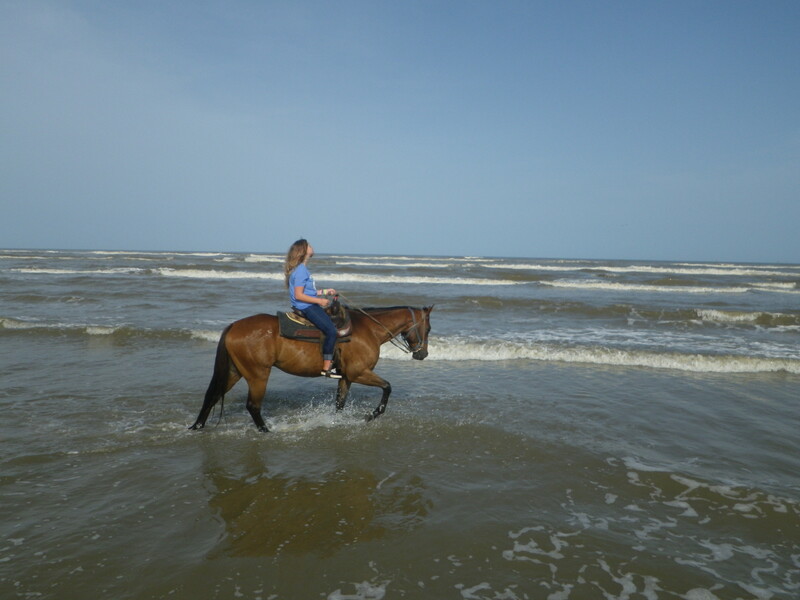 While you don’t HAVE to, you can take your horse into the water, as long as you don’t go deeper than the horses knees! It was SO much fun! We were able to spread out quite a lot on the ride! 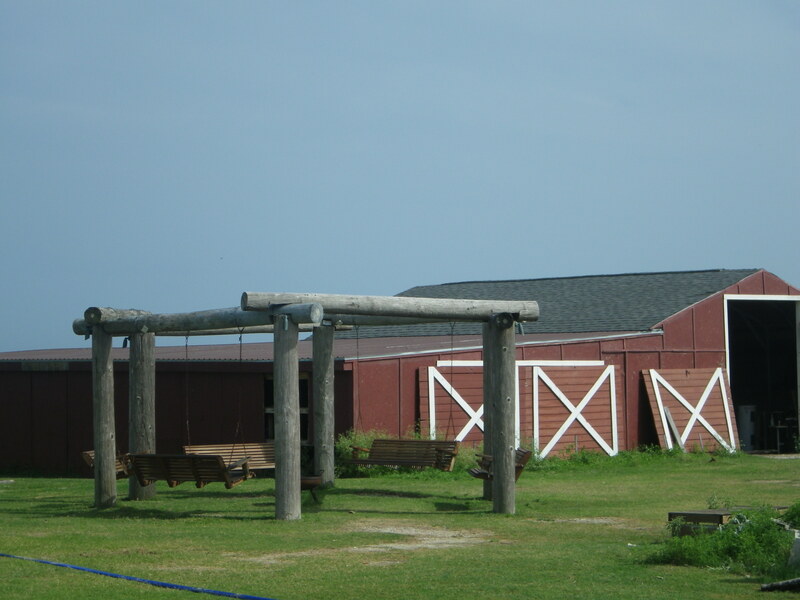 Some of my pictures didn’t turn out so great, but along the beach a photographer took individual pictures, which they sell for $10/each back at the horse barn! 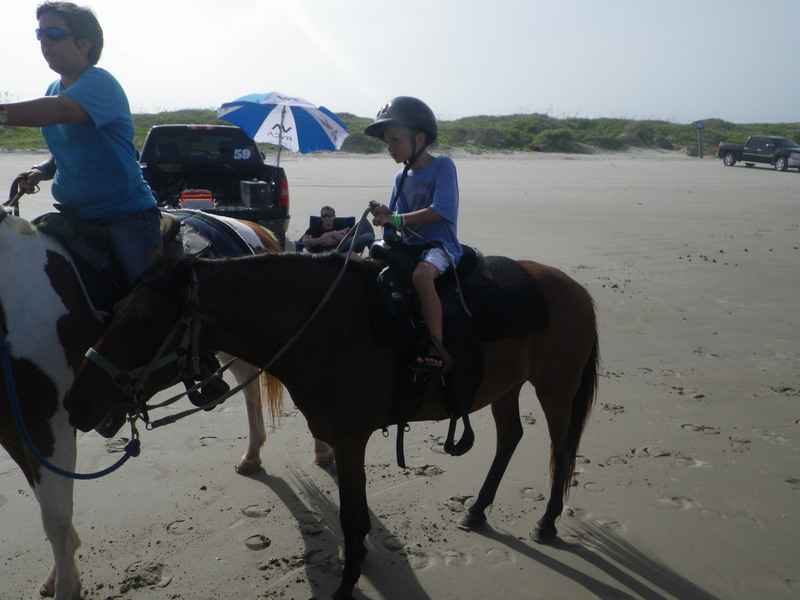 Horses on the Beach also offers nightly camp Ranch Style Cookouts that you can add to a ride, or for a birthday party or special event! 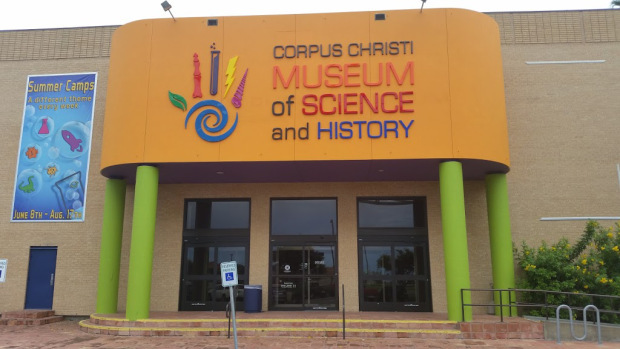 Corpus Christi Museum of Science and History takes guest on an intellectual journey through the coastal bend’s past, as well as lots of interactive and fun activities for kids! Click HERE for more information! 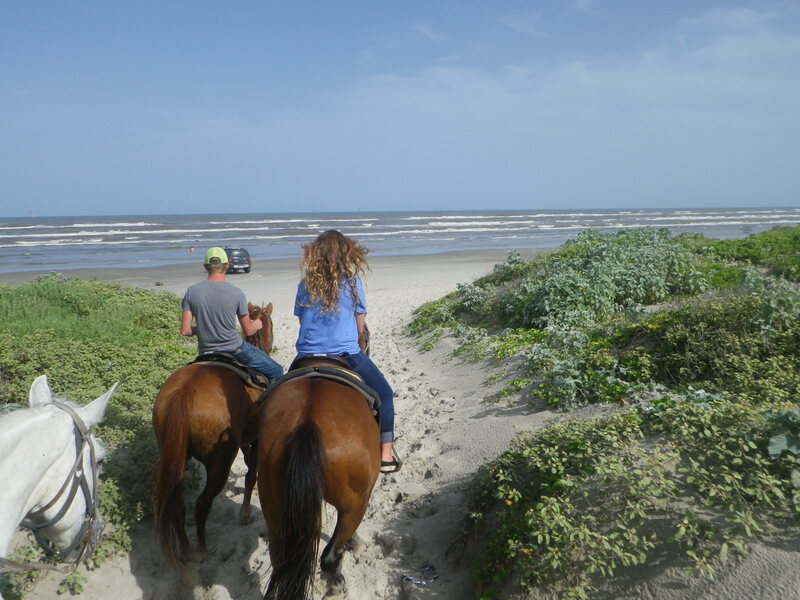 Week and day-long surf camps are a terrific addition to any trip on to Padre Island! 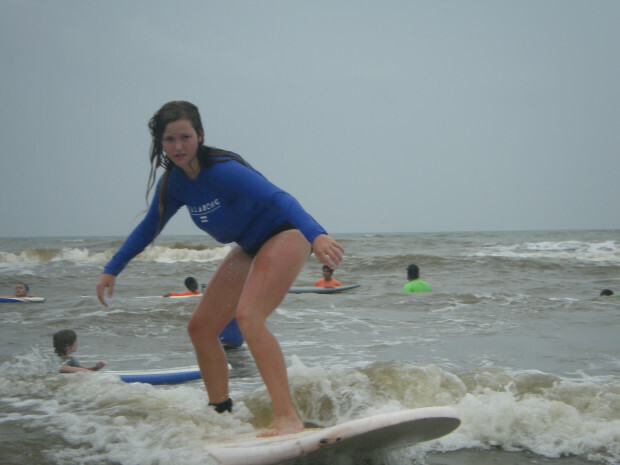 Click HERE to read about my daughter’s week at surf camp! 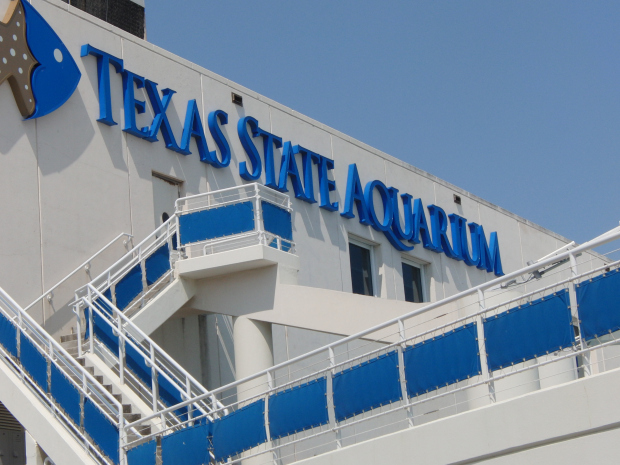 Texas State Aquarium lets you get up close to fish, sea turtles, dolphins and much more! 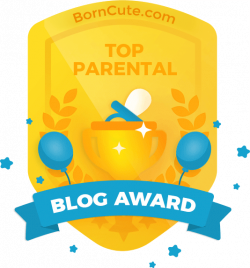 Click HERE to read my Mommy Tips to make the most of your visit!